If you prefer you can use the following menu path: File>New>Script. 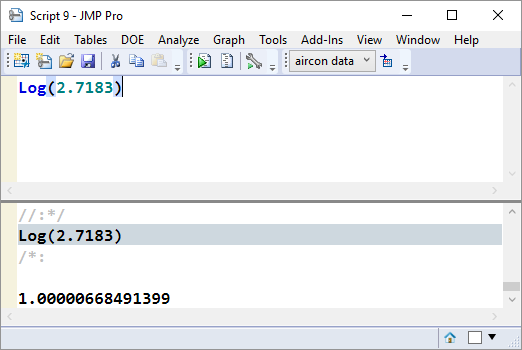 The upper section is the input region where we can type JSL statements with results being displayed in the lower section. 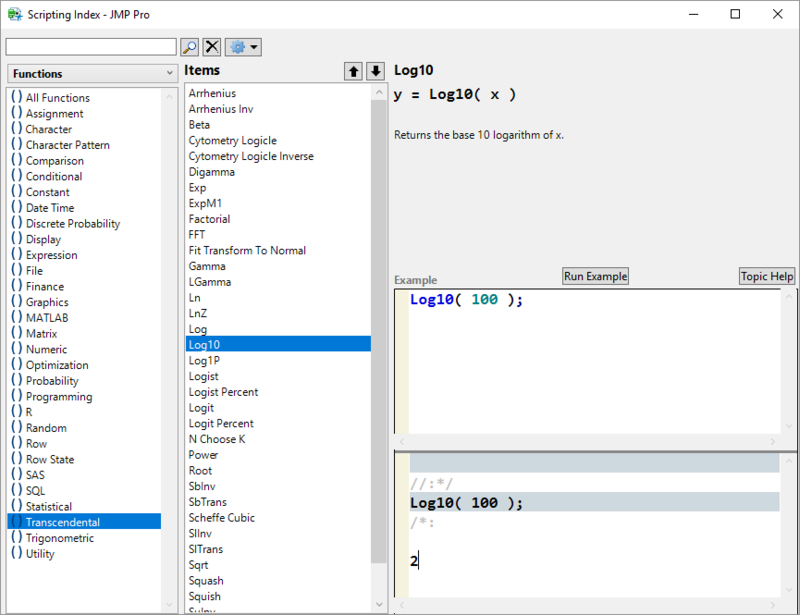 If I wanted a base-10 logarithm then I would use the function LOG10. In this calculation for the area of a circle I wanted to assign my radius value to a variable before defining the formula for the area. 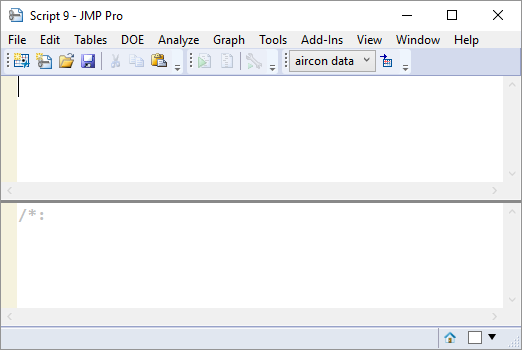 To do this I have had to write 2 lines of code in which case I have to delimit the lines with a semicolon. 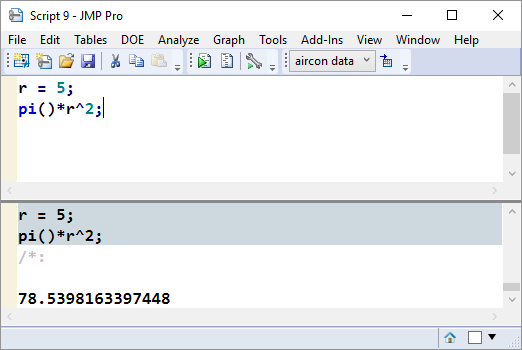 These functions are also documented in the JMP help system under the Scripting Index option. 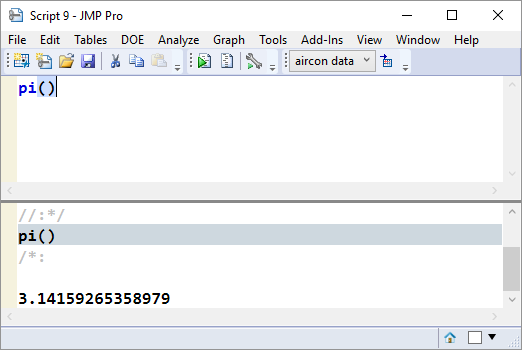 In my next post I will illustrate using the script editor to perform probability calculations to estimate number of defective parts per million for a process where I know the capability indices.